Born and raised in Massachusetts, Dr. Memory always wanted to become a doctor, as long as he could remember, to use his love of science to help people. 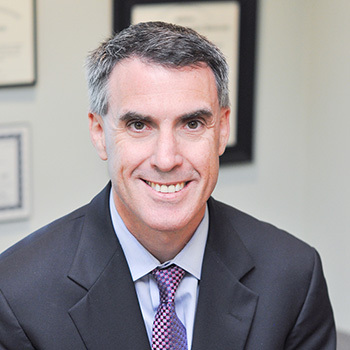 He earned a Bachelor of Science degree from Boston College in 1995 and a Doctor of Dental Medicine degree from Tufts University School of Dental Medicine, in 1999. After dental school, he completed a general practice residency at Morristown Memorial Hospital in New Jersey. There he received broad exposure in all aspects of dental care, and he especially enjoyed the challenges of treating head and neck trauma. He decided he must go back to school, so to speak, to become an oral surgeon. He applied and was accepted to a very competitive six-year oral and maxillofacial surgery residency at New York Presbyterian/Columbia University Medical Center. In the course of his residency training, Dr. Memory earned a medical degree from Columbia University College of Physicians and Surgeons. He joined his Columbia colleague Dr. Runnels at Neponset Valley Oral and Maxillofacial Surgery Associates in 2007. Dr. Memory is trained in the full scope of oral and maxillofacial surgery including extractions, pathology, facial trauma, anesthesia/sedation and implant and bone-grafting procedures. He was part of a team that performed the first ever CT-computer guided implant placement at Columbia University College of Dental Medicine. Dr. Memory is board certified by the American Board of Oral and Maxillofacial Surgery and the National Dental Board of Anesthesiology. He is a Fellow of the American Association of Oral and Maxillofacial Surgeons and a member of the American Dental Association. Dr. Memory enjoys volunteering on behalf of his professional community. He has held multiple leadership positions in the Metropolitan District Dental Society, including Chairperson, and the Massachusetts Society of Oral and Maxillofacial Surgery, where he currently serves as Treasurer. Dr. Memory is also an active member of the medical staff at Newton-Wellesley Hospital and is a licensed dentist and physician in the Commonwealth of Massachusetts. In 2018, he was voted a Top Dentist by his peers, as reported by Boston Magazine. Dr. Memory lives in Needham with his wife and two daughters. He enjoys travel, golf, and skiing, and is a passionate fan of all of the championship sports teams in Boston.